I remember as a child in Michigan longing for the first warm breeze signaling spring was on the way. I looked forward to the snow melting. I watched for the first crocus pushing through the earthy crust and blooming in the beds along the sunny side of the driveway. There was an anticipation of good things to come. Even though winter often fought back, eventually spring reigned, and the dark, cold days of winter receded from view. In many ways, the idea of a new season accurately describes where I find my life and ministry. I see God at work around me. The warm wind of the Holy Spirit blows through my life reminding me He is at work. Change is on the way. I anticipate good things to come. Change happens constantly, but I have seen it more clearly in the past year or so. Navigating the change has greatly challenged me. I shifted from career ministry to working full-time outside the ministry, fitting in ministry responsibilities as I am able. As a result, my focus had to shift as well. For the first time in almost thirty years, I now focus on something outside of full-time ministry. Ministry-wise, my focus shifted to the house church ministry. I still have several speaking events and conferences scheduled this year, but now the primary focus of my life is the local house church in which I am involved. I am more excited about house church ministry than anything I have done in ministry over the last thirty years. In August last year, after I returned from the time in San Francisco with the house church movement there, I gathered friends to pray. We’ve continued meeting weekly since that time. I am full of joy to share with you how God moves in these gatherings. Every week we sense the Holy Spirit moving as we pray and seek what he has for us. We pray between one to two hours with no agenda. We listen for his voice. We expect to hear from him. 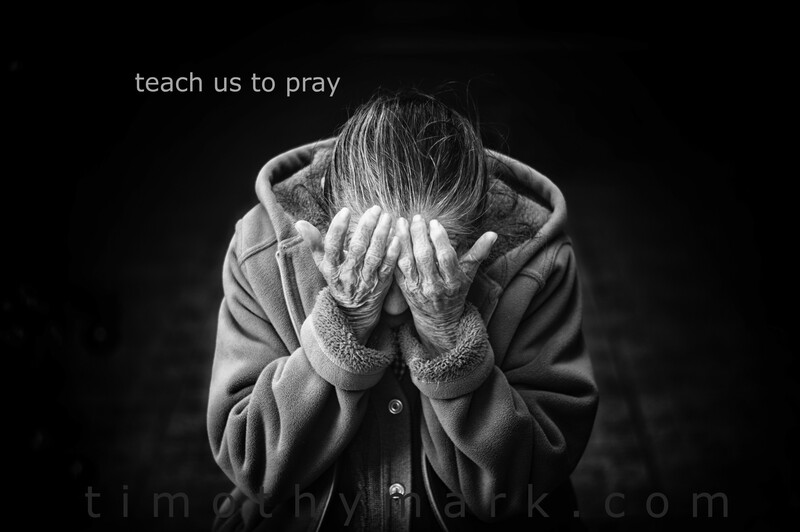 We expect physical transformation when we pray for healing. We expect healthy marriages when we pray for troubled relationships. We expect wayward children to reconnect with parents when we pray for restoration. We expect the Holy Spirit to speak to us about needs in our lives when we give him room to speak. And he does not disappoint! He does exceedingly abundantly beyond all we could ask or think. At this time, we have not officially launched as a house church. We are only holding prayer gatherings. 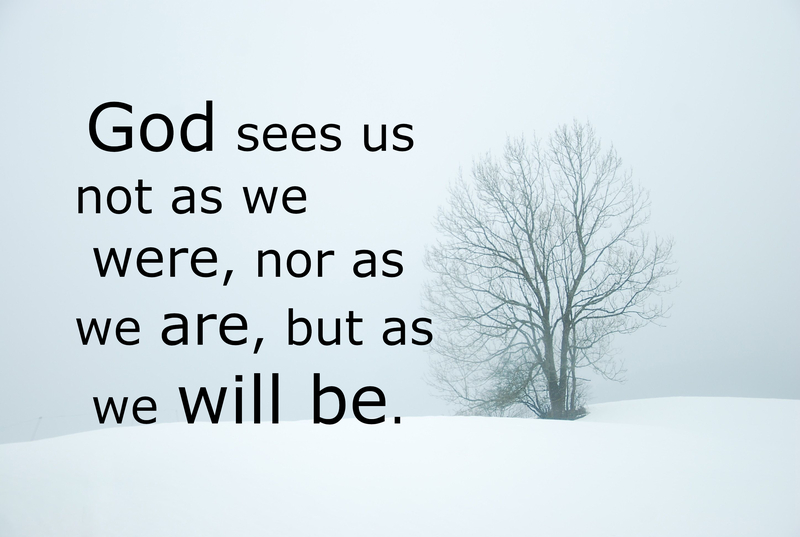 I am confident God will direct us when he is ready for us to take the next step. I’ve also seen changes in my life in the way the Holy Spirit is transforming me. One of the noteworthy areas was an ungodly desire for significance. Ouch. Seeing God humble me and remove this from my life is a great blessing. As a result, I no longer care about my social media presence. You may have noticed I am rarely on Facebook or Twitter anymore. I’ve turned away from caring about how many followers I have on Facebook or Twitter. Frankly, I’ve lost interest in it entirely. I have huge questions on the benefits, if any, of social media. What this means is the manner in which I communicate with you changes as well. Going forward I will likely update less frequently. My hope is to keep you posted when I see God at work and keep the focus on him, and less on me. The prophet Isaiah wrote, “Remember not the former things, nor consider the things of old. 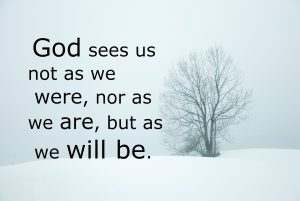 Behold, I am doing a new thing; now it springs forth, do you not perceive it?” (Isaiah 43:18-19a, ESV). The entire passage is a blessing. I encourage you to read it. I love how God understands the challenge we face with change. 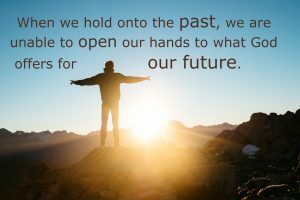 He speaks to our tendency to hold onto the past when he says, “Remember not the former things, nor consider the things of old.” It is our nature to try to keep things the same. God kindly nudges us to let go of the past. When we hold onto the past, we are unable to open our hands to what God offers for our future. This is where I struggle the most. 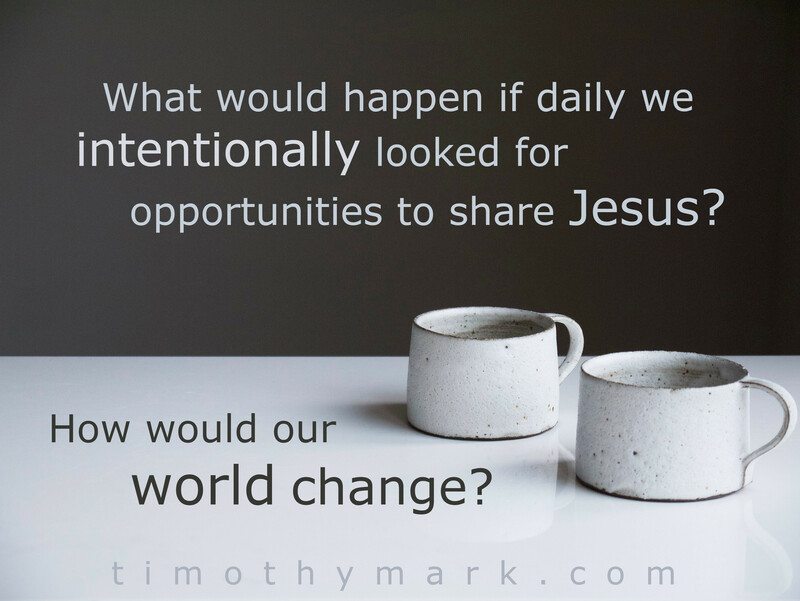 I can see where God has changed my life and ministry, but I often try to maintain different aspects of the ministry I’ve had in the past while trying to move forward into what God has given me for today. For example, I’m aware I missed several months of updates online. It haunts me as I scramble to take care of projects pressing into my schedule. How freeing to read those words reminding us to let go of the past. When I do, I find I have everything I need to fulfill the ministry God has given me to do today. I rest in this. Where are you in the process of change? Like me, do you struggle to let go of the way things were in the past? Do you find it challenging to adapt when change comes? Gratefully God understands. Keep turning to him as change keeps coming our way. Wait. There it is. Did you feel it? I just felt a warm breeze. I’m curious how you are doing with your New Year’s resolutions. It has been about four weeks since New Year’s Day, a time when many set new goals for the year ahead. However, if you are like me, most of us have already failed to accomplish what we hoped to do. Maybe you set a goal for growth in your spiritual life. Perhaps you set a goal regarding losing weight or getting in shape. Chances are, by this point the goal has already been abandoned. But what if there were a way that your life could change, and then the change would last? There is a way, but it may surprise you how the process actually works. At the end of this article, I’ll give you the two simple steps that will totally transform your life. We live in a culture today where the media shouts at us, “Yes! You can change your life! In fact, I’ll show you how to transform your life in just 21 days! All for just three easy payments of $19.99!” What usually gets transformed is your wallet. The only thing that changes is that you become a victim of slick marketing. The exercise equipment you bought to get in shape ends up morphing into an expensive clothes rack, taking up space in the corner of a bedroom. Despite our best intentions and our best efforts, at the end of the day most of us find ourselves pretty much the same person we were when we started. The problem is that we are trying to change ourselves through human effort. As I read the Scriptures, I haven’t found anyone who was transformed through human effort. Instead, lasting change is always the result of the work of the Holy Spirit. So how do we change? Let me share an example from my own life. Many years ago, I felt like God was saying to me, “Tim, you need to become a man of prayer.” At the time, my prayer life consisted of spending about 10 minutes a day praying through my list of people and things I was praying for. I had to admit that 10 minutes a day probably didn’t qualify me as a man of prayer. My first instinct was to discipline myself into becoming a man of prayer. Normally, my plan would look something like this: I would set a goal to pray five minutes more today than I did yesterday. Then tomorrow I would pray five minutes more than I prayed today. The day after that I would pray five minutes more than the day before, and so on. Over time I would become a man of prayer! Wohoo! Unfortunately, it doesn’t work that way. When I do this, invariably I end up a few months later the same as I was when I started. Does this sound familiar? What I did instead was to yield my life to the Holy Spirit in this area. I said, “I agree with you God, I need to become a man of prayer. Holy Spirit, today I pray that you would help me to become a man of prayer.” Then I got up the next day, and I said, “Holy Spirit, today I pray that you would help me to become a man of prayer.” Then I got up the next day, and I said, “Holy Spirit, today I pray that you would help me to become a man of prayer.” You get the idea. After praying this way for about three months, one day I suddenly realized that my prayer life had completely changed. My prayer life had become a conversation with God. I wanted to spend time talking with him about anything, even things that weren’t really that important. I wanted to spend time with him because of my relationship with him. It was the beginning of what I like to call, “having coffee with God,” something that is a cornerstone of my life today. The point is, I didn’t change by my human effort; I changed because God changed me through the work of the Holy Spirit. So how does this look in the area of personal transformation in the physical sense? The vast majority of resolutions this time of year have to do with some sort of transformation of our physical bodies. How does the work of the Holy Spirit apply to that? Consider what Paul wrote in his letter to the church in Galatia. He said, “Walk by the Spirit, and you will not gratify the desires of the flesh. For the desires of the flesh are against the Spirit, and the desires of the Spirit are against the flesh, for these are opposed to each other, to keep you from doing the things you want to do” (Galatians 5:16-17, ESV). The realm of the physical world collides with the realm of the spiritual world. Paul goes on to say, “Now the works of the flesh are evident: sexual immorality, impurity, sensuality, idolatry, sorcery, enmity, strife, jealousy, fits of anger, rivalries, dissensions, divisions, envy, drunkenness, orgies, and things like these. I warn you, as I warned you before, that those who do such things will not inherit the kingdom of God” (Galatians 5:19-21, ESV). That’s a pretty scary list. It is scary because Paul says that the people who practice these things should not expect to inherit the kingdom of God. That’s serious. But there is hope! He continues by saying, “But the fruit of the Spirit is love, joy, peace, patience, kindness, goodness, faithfulness, gentleness, self-control” (Galatians 5:22, ESV). If you are like me, the word “fruit” in this passage conjures up images of apples and oranges. But that is not what Paul is talking about. In the original language, the word that is used for fruit could be translated “result”, and I think it is a clearer translation. 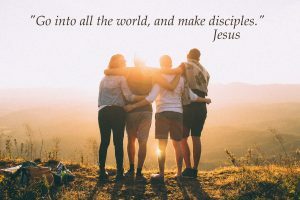 Paul is saying that the result of the work of the Holy Spirit in my life is a life that is characterized by love, joy, peace, patience, kindness, goodness, faithfulness, gentleness, and self-control. It is the result of the Spirit, not my human effort! This is important stuff! But notice, tucked away at the end of that list is a key word in the area of our physical lives – self-control. Self-control in the physical realm is actually the result of a Spirit-controlled life. Self-control is the result of being Spirit-controlled. When I try to change through my own effort, eventually I end up right back where I started. But, when I yield my life to the work of the Holy Spirit, then my life is changed for good. I told you earlier I would give you two simple steps for total transformation. Well, here they are. 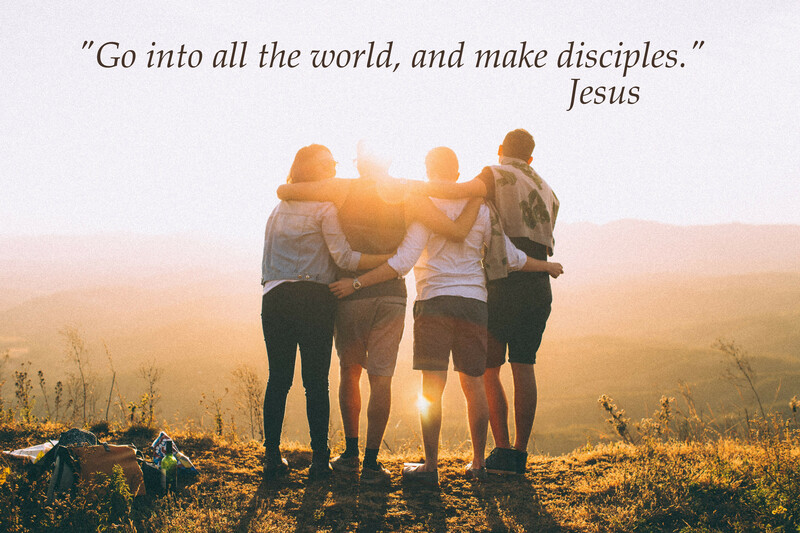 Step One: Yield your life to the work of the Holy Spirit. If your resolution had something to do with your physical body, my suggestion for you is this: Start your day with a conversation with God. As you speak with him, say something like this, “Holy Spirit, today I pray that you would help me to have self-control.” Then get up tomorrow and pray the same thing. Then the day after that, do the same thing. Continue daily yielding your life to the work of the Holy Spirit. When you do, in time, God will transform your life. This truth about being transformed by the work of the Holy Spirit applies to every area of my life. It is far more than just a weight loss gimmick, it is the way God changes us into the image of Jesus Christ. As a result of the Spirit, all of these characteristics are fleshed out in my life. I become a man who is characterized by love, joy, peace, patience, kindness, goodness, faithfulness, gentleness, and self-control. My life ends up looking more like Jesus every day. Friend, I want you to see your life completely transformed by God. Your life will change when you yield your life to the work of the Holy Spirit on a day-to-day basis. When you do, then you will see the result you have longed for – a life that is completely transformed. Yield your life to the work of the Spirit. Repeat. There, I just saved you three easy payments of $19.99. This article was originally published in the February 2015 Newsletter. What’s trending in your relationship with God right now? 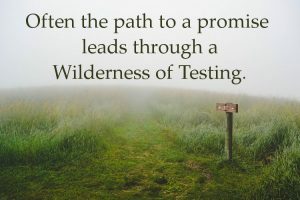 Sometimes when God is at work in my life I find a word or idea keeps coming up in my Bible study, in conversations, in my prayer time, on a TV show, or some other part of my day. Lately I have been seeing the word “anxious” a lot as I read through the book of Luke. Then I began to notice times when I felt anxious, and it would take me back to what I had read earlier. This is an example of how the Holy Spirit speaks to us. Looking for these trends can help us find where God is at work in our lives. Another word that is trending in my life right now is “gratitude”. Throughout the day I keep finding myself overwhelmed with gratitude for what God has done and is doing in my life. It humbles me deeply to consider how God has provided all that I need. The irony is that these two words are nearly opposite! When I am filled with gratitude, anxiety is nowhere to be found. But when I am filled with anxiety, gratitude seems far removed. Being aware of this gives me the ability to lesson anxiety by choosing to focus on gratitude. By being aware of what is trending in my relationship with God, I am better able to respond when the Holy Spirit is speaking. So what is trending in your relationship with God? Where do you see God at work? How is the Holy Spirit speaking to you? Learn to look for those trending topics so you can respond to the work of the Holy Spirit in your life.